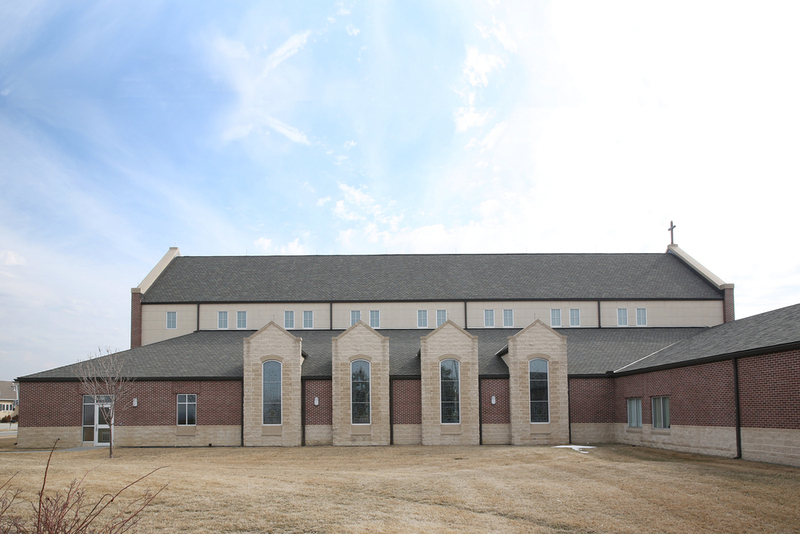 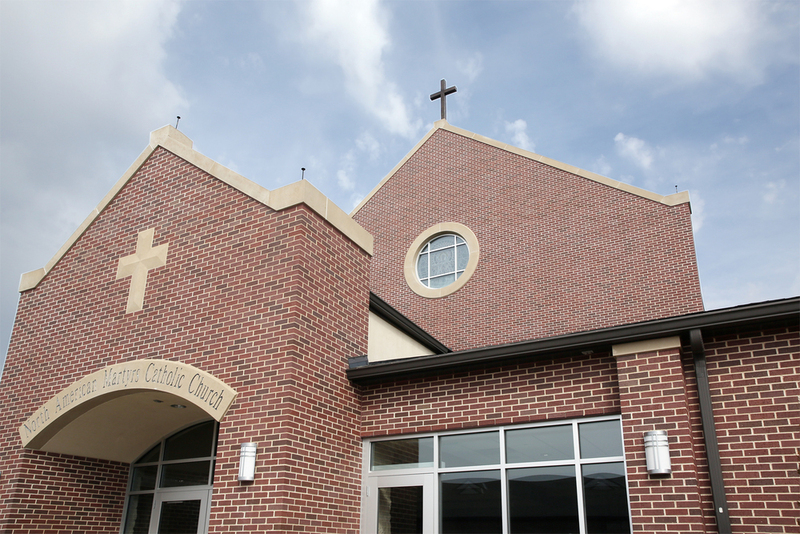 North American Martyrs is one of the fasting growing parishes in Lincoln, Nebraska. 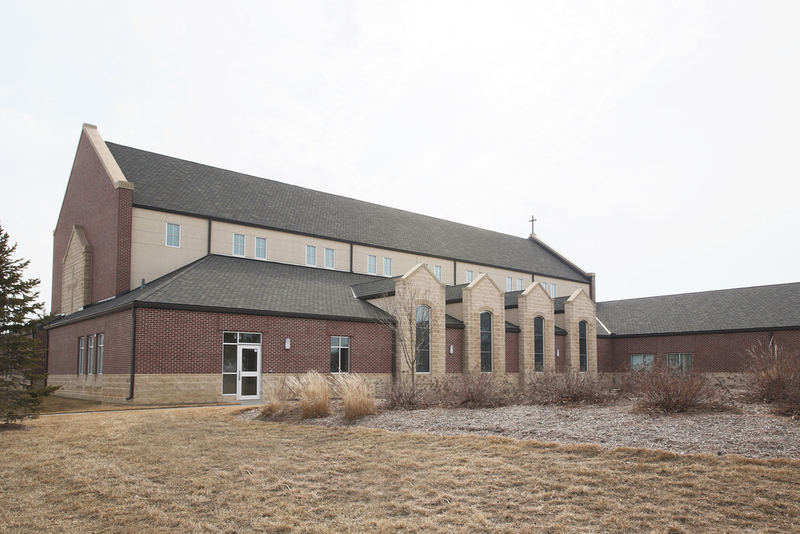 The parish campus began with the building of its school in 1996. 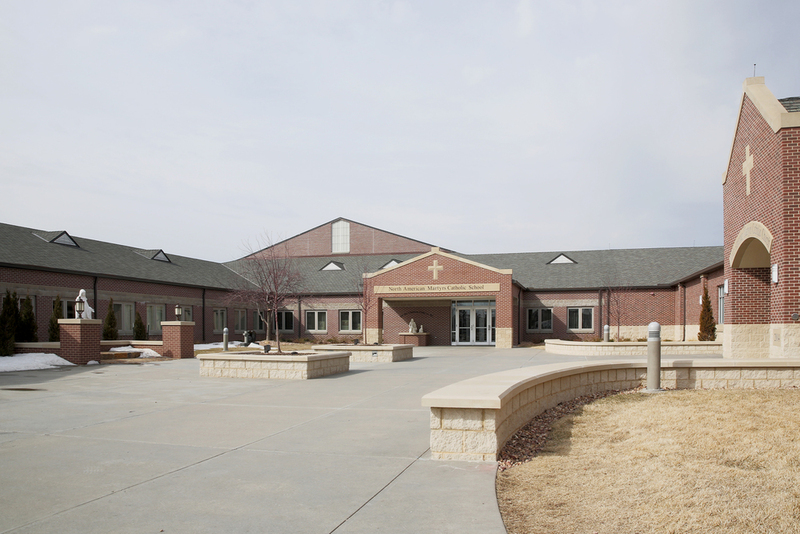 The 600-seat church, parish hall, and a six classroom addition to the school were completed in 2004. 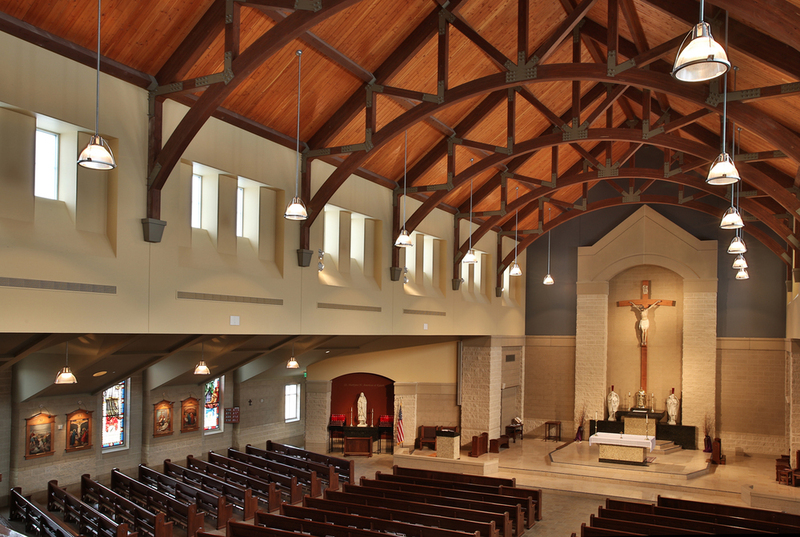 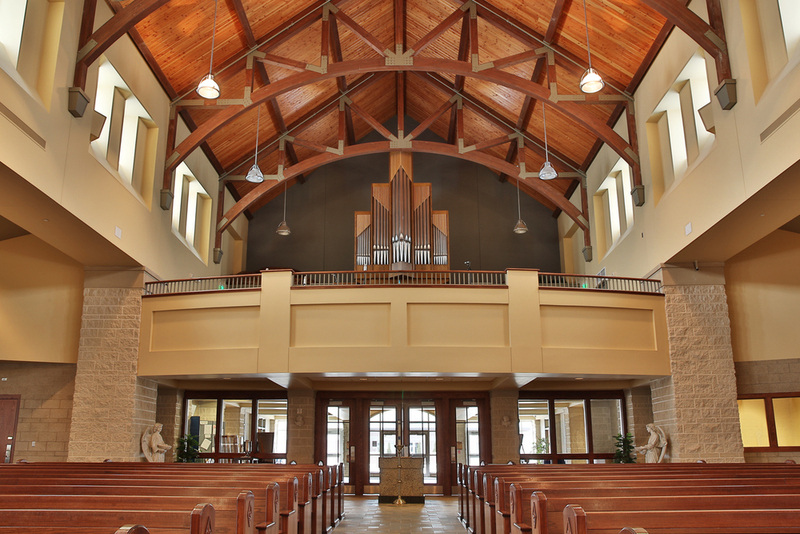 The interior of the church employs the use of natural materials, primarily stone interior walls and a wood truss ceiling. 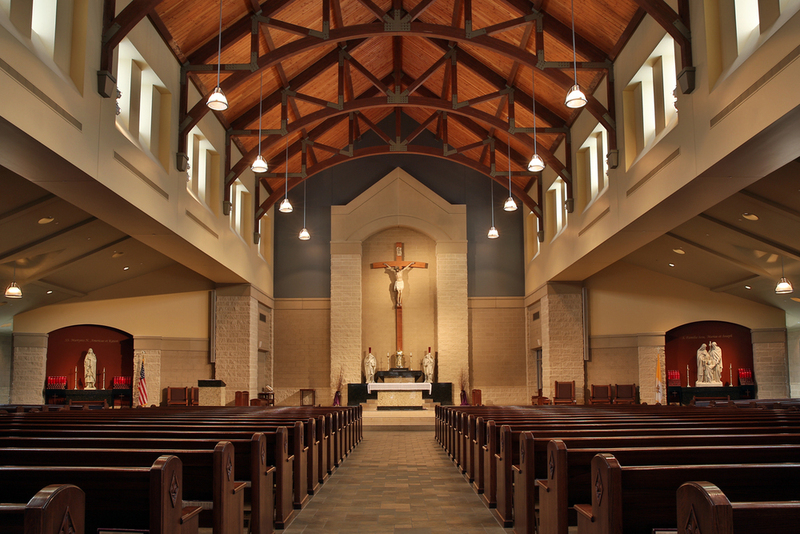 Eight new stained glass windows were commissioned to line the nave. 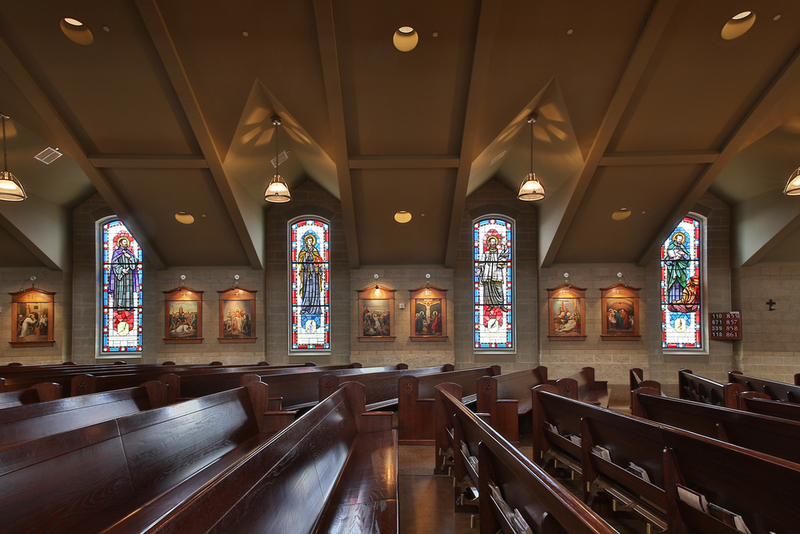 Each window depicts one of the North American Martyrs. 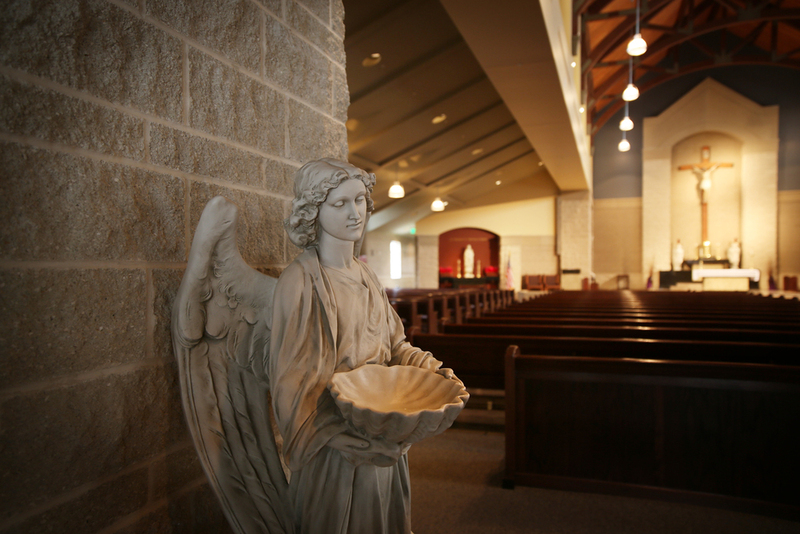 To the left of the sanctuary is a side shrine dedicated to St. Kateri Tekakwitha, an Indian woman whose conversion and witness was born of the fruits of the Martyrs’ missionary work.